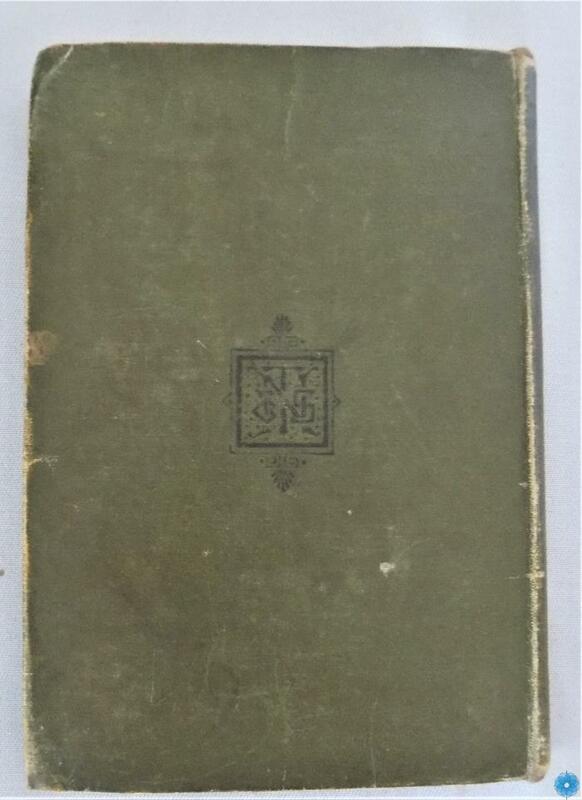 Description: Green Book, Black writing & Horse & man in armour & Flower on front. History of Use: Used in 2002 for a school exhibit. Names inscribed: Ethyln A. Outhouse, Tiverton School, 1890.